Modern information systems that support complex business processes generally maintain significant amounts of process execution data, particularly records of events corresponding to the execution of activities (event logs). 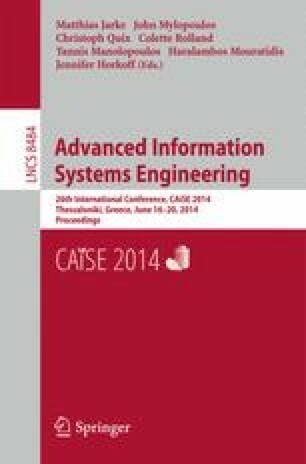 In this paper, we present an approach to analyze such event logs in order to predictively monitor business constraints during business process execution. At any point during an execution of a process, the user can define business constraints in the form of linear temporal logic rules. When an activity is being executed, the framework identifies input data values that are more (or less) likely to lead to the achievement of each business constraint. Unlike reactive compliance monitoring approaches that detect violations only after they have occurred, our predictive monitoring approach provides early advice so that users can steer ongoing process executions towards the achievement of business constraints. In other words, violations are predicted (and potentially prevented) rather than merely detected. The approach has been implemented in the ProM process mining toolset and validated on a real-life log pertaining to the treatment of cancer patients in a large hospital.